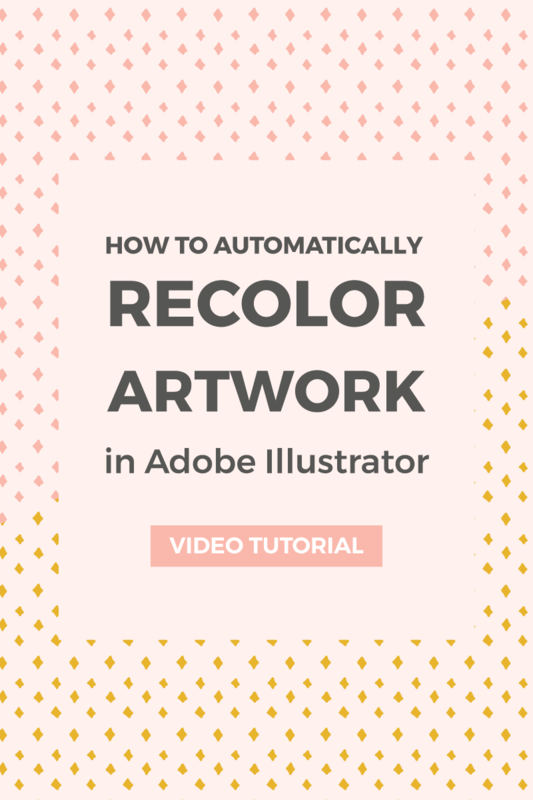 How to recolor artwork in Adobe Illustrator ~ Elan Creative Co. 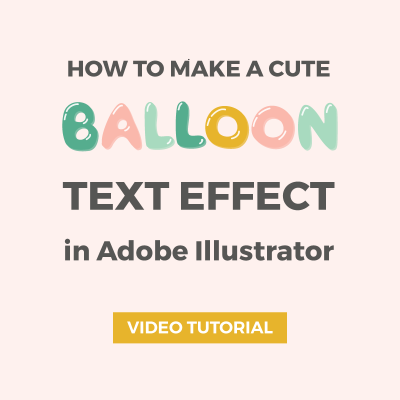 This year, I want to show you more ways to create graphics for your blog so I will start writing Adobe Illustrator tutorials. The first one is a very easy tutorial that will show you how to recolor your artwork. 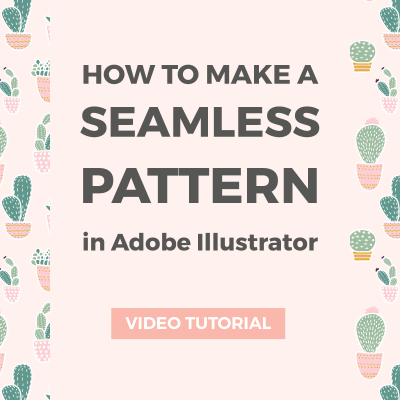 This is one of my favorite tools because it can save you a lot of time and you can even use it if you don’t have all the vector elements or only a pattern swatch. 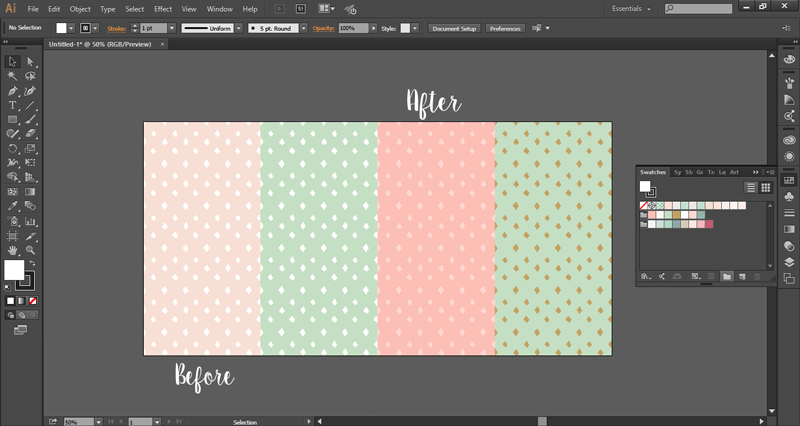 I’m going to show you how to recolor artwork in Adobe Illustrator using a pattern from my shop. 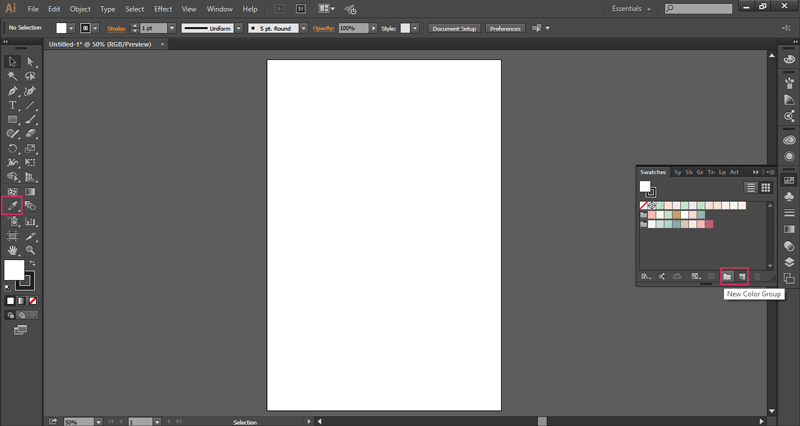 I’m using Adobe CC, but the feature was introduced in Adobe Illustrator CS4 so you can use it even if you have an older version. 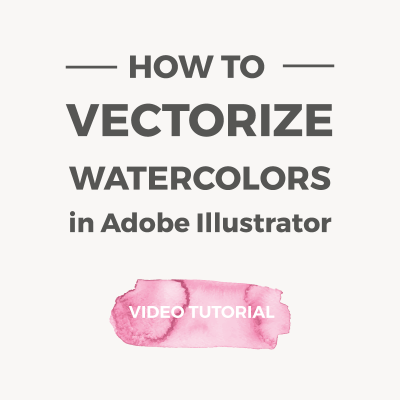 Here’s how to recolor artwork in Adobe Illustrator. Scroll down for the written tutorial. In order to use this tool, you need to create at least a new color group. I’ve already opened my blog’s color palette, but you can use an image as inspiration. 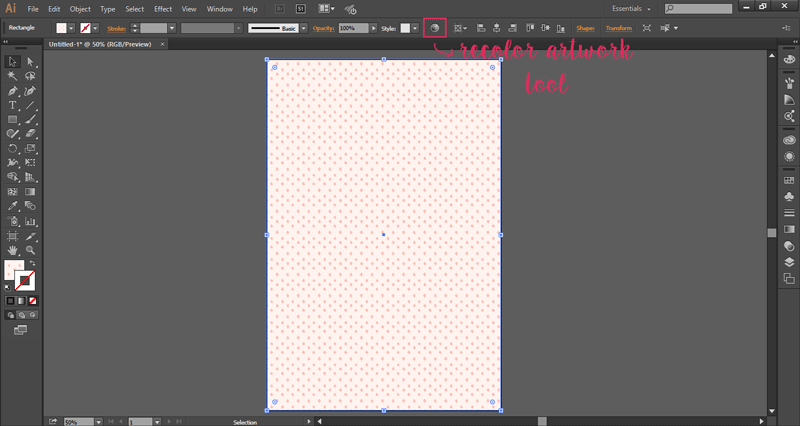 Place your image in Illustrator by going to File/Place or drag it to your artboard. Select colors from your image using the Eyedropper tool (I) and add them to your swatch panel by clicking the New Swatch icon. You can add as many colors as you like. When you are done, select the swatches by clicking the first swatch, holding down Shift and clicking on the last swatch. Select the New Color Group icon to add them to a new group. My favorite place for color inspiration is Design Seeds. You can use images from this site to create color palettes for your artwork. 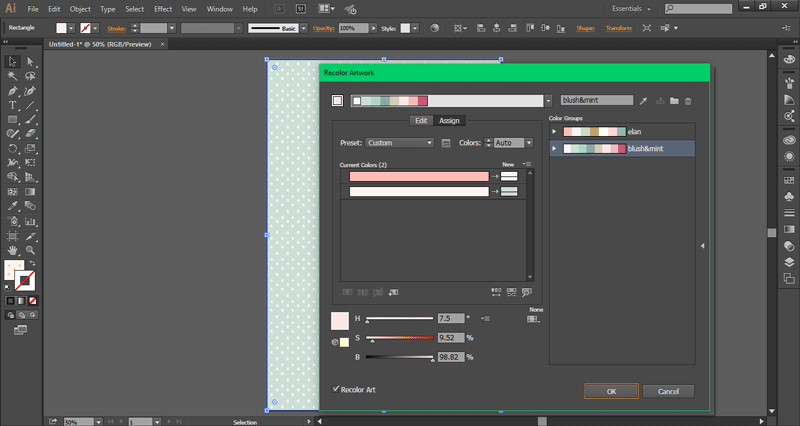 Open your artwork using File/Place or draw a rectangle (M) and color it with a pattern swatch. 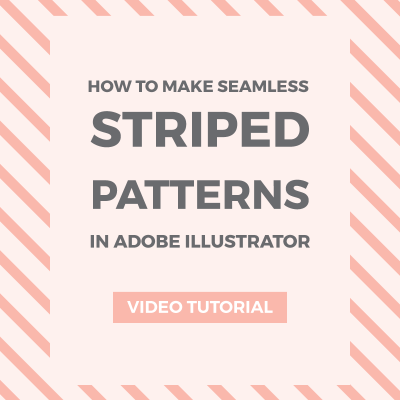 This method works only with vectors and pattern swatches. You can’t recolor JPEG and PNG file. Select your artwork with the Selection Tool (V) and open the recolor artwork panel by pressing the color wheel icon or by going to Edit/Edit Colors/Recolor Artwork. 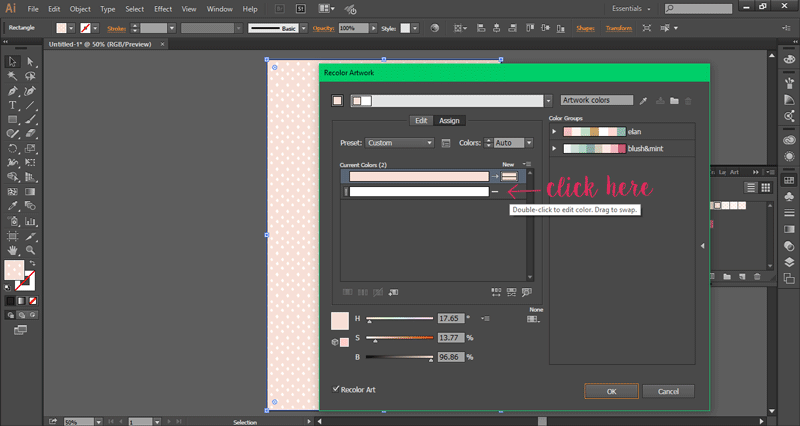 When the dialog box pops up, select the color group you want to use and it will randomly change the colors of your artwork with colors from your swatch. 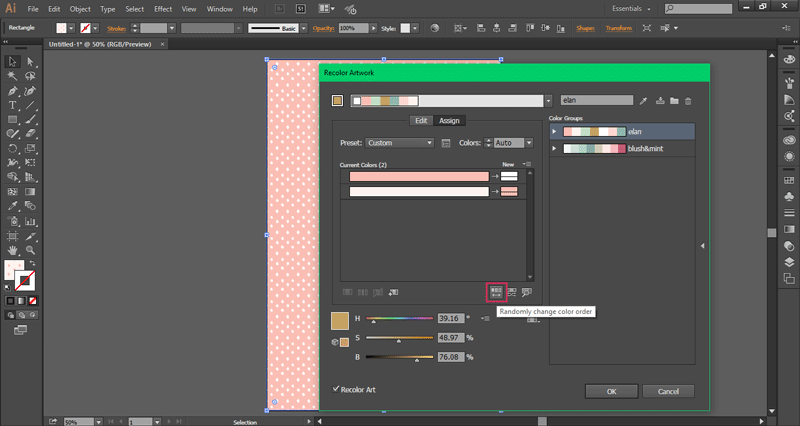 As you can see in the image above, this tool uses the colors in the same order they are in the swatches panel. If you want to use certain colors, just rearrange your color group before you recolor your artwork. If you want to use random colors from your group, just click the Randomly change color order button. This tool won’t automatically change all colors if your artwork has black or white in it. It doesn’t mean that you are stuck with them. You can still change them by clicking next to the current color box. From a simple pattern, you can create many other patterns for your website or craft projects by using all the colors from your color group or by creating other color palettes. If you play a little with the recolor artwork tool, you will notice that you can increase or decrease the saturation or even load other color swatches from your library and add colors using the color wheel. Do you use Adobe Illustrator? What are your favorite tools? Thank you Cristina, that was so very well explained. Much appreciated and look forward to reading and seeing more. Thanks for reading, Brian! I’m glad you like it.